We can provide the perfect venue for your next event. We offer car parking over the school holidays down the ‘sports entrance drive’ which is off Murphy Street. There is also plenty of parking on the hard surface on the field. We are currently offering car parking during term holidays. Once payment is received we will email you a parking coupon for you to display on your dashboard. 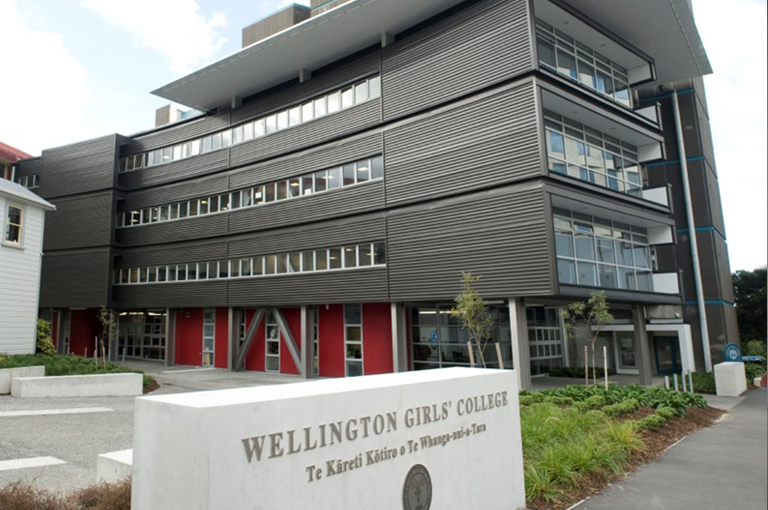 Wellington Girls’ College has many facilities available for hire during the school holidays and on weekends. Whether it be for a wedding reception, sporting event, business conference or your office Christmas party we can provide the venue to suit. Wifi can be made available on request. Check out the details and use the contact form below to register your interest in our facilities. The Pavilion is self-contained and has a kitchen, toilets and a deck which overlooks the sports field. Suitable for a group of 20 or less, and is used for seminars, meetings, etc. Pavilion is 9.6 long x 6 metres wide. Hall seats 630 x people. There is a large stage. You will need to provide your own sound system. You will need to supply your own cutlery, cups, plates, pots, pans, etc. Staffroom seats up to 100 x people. There is a kitchen which opens into the staffroom. You will need to supply your own cutlery, cups, plates, pots, pans, etc. Seats up to 60 x people and there is a smaller room within the library which would seat about 20 x people. There is a small kitchen but this doesn’t have an oven, just a small jug and kitchen sink. You will need to supply your own cutlery, cups, plates, pots, pans, etc. Library has is self-contained and toilets as well as a deck which overlooks the field. Some of the double classrooms include either one or two breakout rooms.